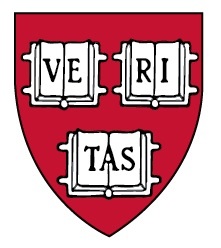 The SECOND Harvard Class of 1960 luncheon of the 2018 - 2019 academic year will be held on Thursday, February 7, 2019 @ 11:30 AM (ending @ about 2:30 PM) @ The ("New") Stockyard Restaurant's Wine Room, 135 Market Street, Brighton, MA -- (617) 782-4700 -- www.stockyardrestaurant.com. PLEASE MAKE YOUR RESERVATION AS SOON AS POSSIBLE … AND, IN ANY CASE, NO LATER THAN SUNDAY, FEBRUARY 3. E-mail your reservation to hjmarcy@comcast.net or call me @ (781) 944-2194 (home) or 781-439-4007 (cell) to leave your reservation on my answering machine. Note: Once you have made your reservation, if you find you will be unable to attend, you must let me know by the morning of Monday, February 4 – the day I must provide the stockyard with our guarantee – or you will be required to pay. Your cost for this luncheon is $35.00. Please note that, as always, additional donations are appreciated. Pay me at the door or mail me your check for $35.00, payable to Henry Marcy, to: 4 Summit Drive #508; Reading, MA 01867-4054. DIRECTIONS: Your best bet is to get detailed directions from your location to the Stockyard Restaurant from Mapquest.com or a similar website or your GPS. The Stockyard is just off the south side of the Mass Pike a little over 2 miles from the Brighton exit (exit 18) off the Pike and less than three miles from Harvard Square. PARKING: There is plenty of parking at the restaurant!